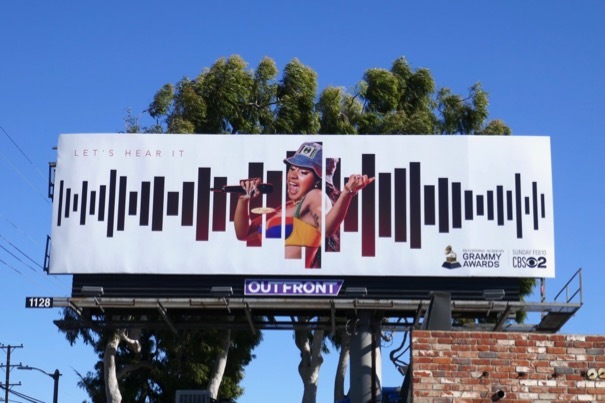 Last night may have been the Screen Actors Guild Awards, but there are still plenty of industry awards ceremonies imminent, including the biggest night in music, the Grammy Awards. 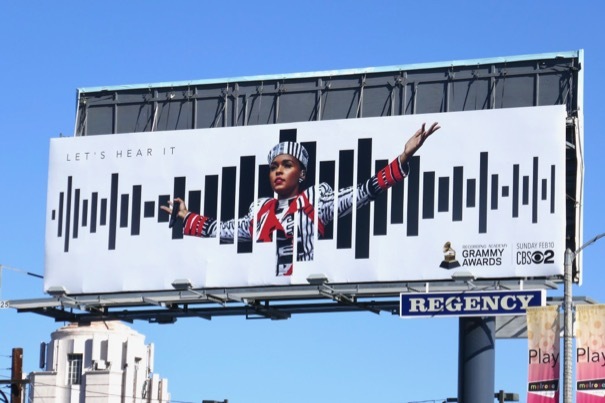 Let's hear it for the 61st Grammys that take place on Sunday February 10, 2019, at the Staples Center in Downtown L.A. hosted by the Grammy-winning Alicia Keys (who we're sure will be on fire). 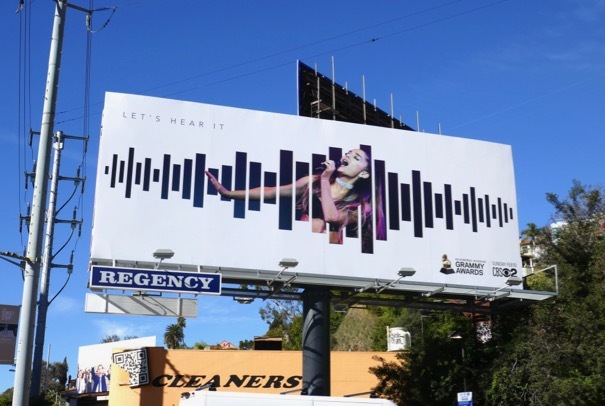 This year the artists in the spotlight in the 2019 Grammys ad campaign are the likes of Ariana Grande, Janelle Monáe, Cardi B and Chris Stapleton from the worlds of pop, rap and country music. 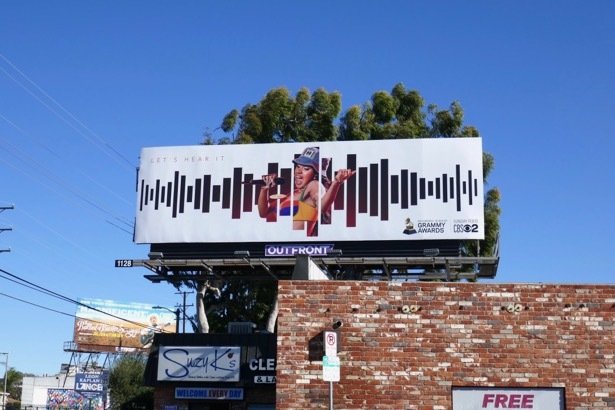 These sound-wave design billboards were photographed along Melrose Avenue, Ventura Boulevard, 3rd Street and the Sunset Strip from January 18 to January 21, 2019. 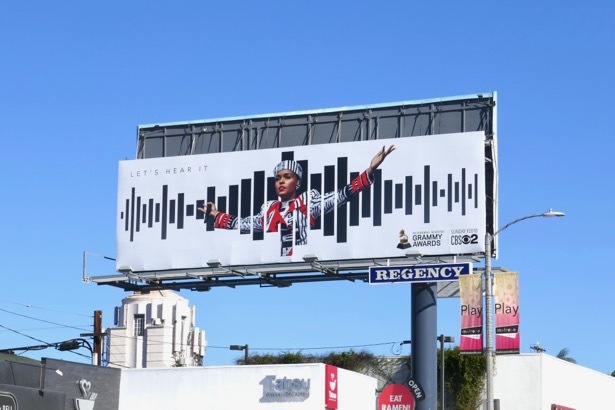 For more outdoor ad campaigns marketing the music industry's biggest bash, make sure you also check out all these previous Grammy Awards billboards from years past. Who will take home the coveted gramophone trophies this year, what performances will become the new viral sensations and who will upstage everyone on the night. 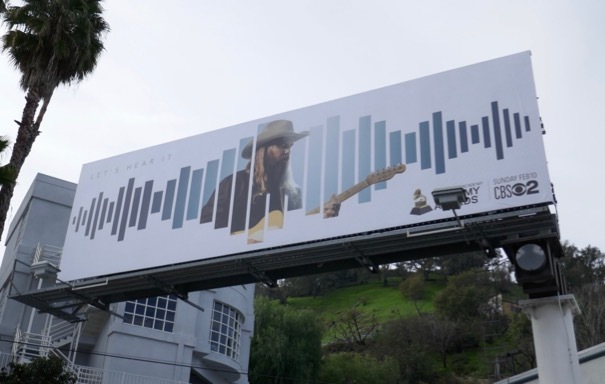 You'll just have to tune in and see for yourself. 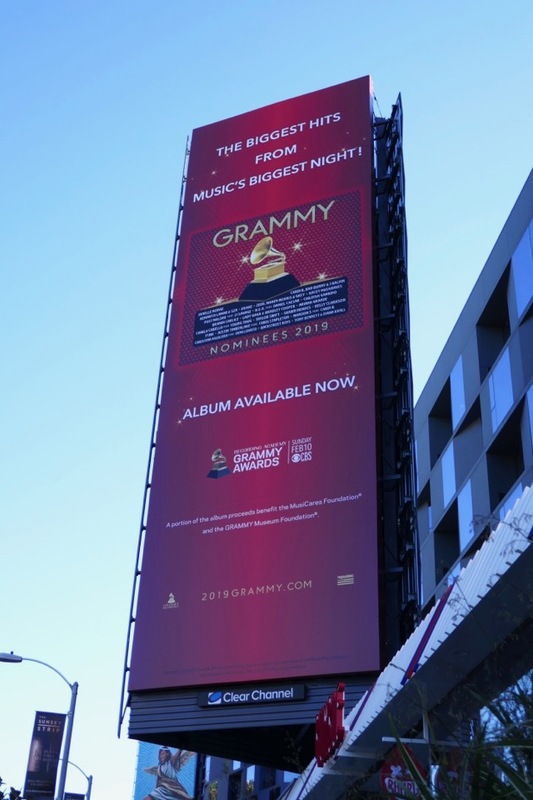 UPDATED: Here's also a vertical billboard for this year's Grammy nominees album snapped along the Sunset Strip on February 6, 2019.